Expert on urban education, and achievement and mental health among African American teen. Dr. Alan Green joined Rossier in July 2009 as Associate Professor of Clinical Education. Prior to USC he was on the faculty at Johns Hopkins University School of Education, where he served most recently as chair of the Department of Counseling and Human Services. He earned a doctorate in counseling psychology from Howard University in Washington, DC and a master's degree in school and community counseling from California State University in Sacramento. Dr. Green was the recipient of a Fulbright Fellowship for his doctoral work in Guyana on adolescent stressors, coping responses and psychological adjustment. In addition to his academic duties, Dr. Green served as Associate Director of the Johns Hopkins Urban Health Institute, with a focus on health and education outcomes for communities of color. Currently, he is the board chair for the Los Angeles Community Action Network, a Skid Row non-profit organization focused on housing, police violence, and community health. The organization is in the midst of a participatory action research project conducted by Skid Row residents regarding well-being. Dr. Green has served as project evaluator and consultant to educational and community based organizations across the United States and the Caribbean. 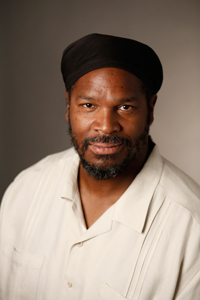 Dr. Green was a recipient of the 2006 Counselors for Social Justice 'Ohana Honors Award for his efforts to affirm diversity and advocate for social justice. More recently he was a 2014 recipient of the USC Mellon Mentoring award for his work with graduate students.